Formed in 1966 the Andover, Hampshire-based band showcased the talents of singer Chris Bates, bassist Jeff Glover, drummer Roger Pope, lead guitarist Bruce Turner, and rhythm guitarist Dave Wright. Glover and Pope had previously been members of The Soul Agents who recorded a series of 1964 - 1966 R'n'B-oriented singles for Pye. Guitarist Wright had briefly been a member of The Troggs. 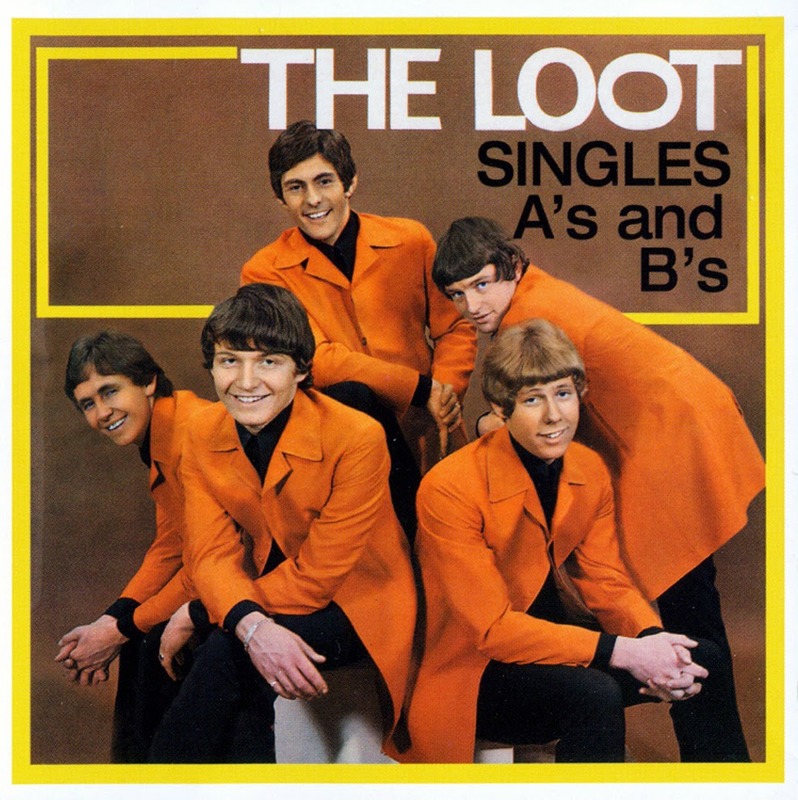 The Troggs connection also helped the band score a contract with Larry Page's Page One label where they recorded a series of four singles over a three year period. The group never recorded an album so if you're interested in hearing their catalog you've essentially got two choices - collect all of their singles (which are fairly expensive), or opt for one of the retrospective sets that may not be legitimate releases. 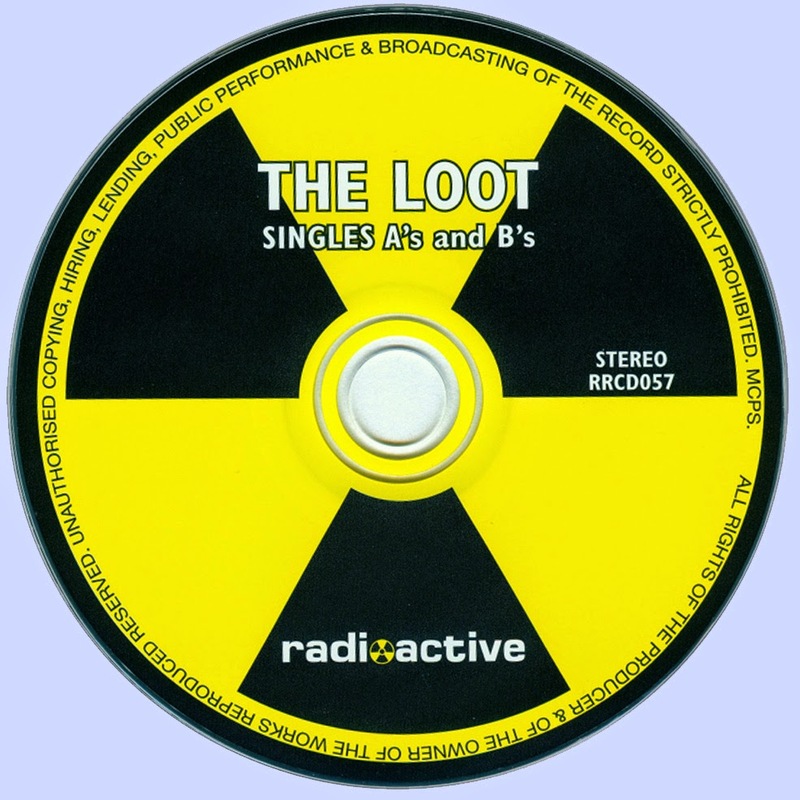 Released by James Plummer's Radioactive label, unlike a lot of releases on the label, there's a good chance "The Loot Singles A's and B's" was an approved compilation. I make that statement based on the fact the 1,000 copy pressing served to collect all of the band's six singles from Page One and CBS, along with a pair of demos ('You Need someone To Love' and 'I've Just Gotta Love You' and the 'A' side of a French-only single 'Gotta Get Home'. Messing with big label copyrights like CBS/Columbia would take considerable gumption ... Not that Plummer didn't have that characteristic. So aside from the business considerations what did these guys actually sound like? Most of the reviews I've seen have been lukewarm, labeling them second tier Troggs. Judging by these 14 tracks I'd beg to disagree. While nothing here was particularly original, Bates had a great voice (easily as good as Reg Presley), while the rest of the band were every bit as talented as their Page One competitors. Taking these in chronological order as opposed to the track listing sequence, here's a quick run down.